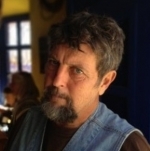 Our guest this week on Sea Change Radio, Gary Nabhan, has taken the fight to the corporate seed merchants through the local food movement and seed saving community. The Director of the Center for Regional Food Studies at the University of Arizona, Nabhan believes that a healthy food system is a biodiverse food system. We discuss community-based seed banks, look at the role that Big Ag will continue to play in our food system, and examine how climate change and a lack of biodiverse seed stocks affect people in war zones.